It will also be a monument of stark reality wherein Gujarat’s own adivasis who were uprooted from their riverine environs, forests and agriculture, in 1961 for the sake of the Project and its supra structure, including 9 kinds of guest houses to helipads are yet to be rehabilitated ! Thousands of others from not less than 70 villages are being deprived of their status against the laws of the land, especially, the PESA (Tribal Self-Rule Act). The Statue is an insult to the tradition of the freedom movement and absolutely against the interests of the adivasis and farmers. The Statue is part of the overall plan to deprive the 70 adivasi villages of their constitutional status as adivasi villages in violation of the PESA Act, obviously to be followed by grabbing of their land and natural resources and diversion of the same for unjustifiable ‘tourism’ purposes ! It is absolutely condemnable that the Govt. has arrested activists and villages who have been raising these genuine concerns. It is absolutely condemnable that when the Govt. has not rehabilitated thousands of families in M.P., Maharashtra and Gujarat for which the full budget is to come from Gujarat as per the Narmada Water Disputes Tribunal and hence almost 8,000 families, including adivasi and dalit farmers are yet to receiv land based rehabilitation. Thousands of others - landless, fish workers, artisans, hawkers, potters, shop keepers, are to receive due package for alternative livelihood. Since without the compensatory measures, there is already serious impact on the Narmada eco system, on farmers to fish workers, which are not compensated either by Gujarat or their own state governments. Gujarat has been demanding and obtaining money from the Central Irrigation Scheme of AIBP, and maximum monetary assistance, during last 10 years has gone to SSP, almost 5,700 crores, yet Mr. Modi has the courage to say that the Centre is stalling the Project, only to stall the progress of M.P. and Gujarat. If Gujarat has money for statues, why not for canals and rehabilitation, is a reasonable question that should have come from UPA and Planning Commission, which unfortunately has favoured the Gujarat Govt! For the first time State Governments and Central Government worked in a complimentary manner in handling Phailin Cyclone. For the first time all the Government agencies both states and central worked together in unison. The armed forces, Air Force, Navy worked together in Complimentary manner. We must congratulate our Media responding so fast in responding to Phailin in the correct manner. Imagine 9 lakhs people were shifted to the safe place in two days prior to the arrival of Phailin. The Ministries of Railway, Surface Transport, Petroleum and Telecommunication had worked with a single-minded focus on delivery. The Centre deployed 18 Army helicopters and 12 aircraft, and sent six Army columns with relief material to Odisha and four to Andhra Pradesh. Two naval ships and seven naval helicopters with relief material were kept on standby, while 26 NDRF teams were deployed in Odisha, 19 in Andhra Pradesh, three each in West Bengal and Bihar and two in Jharkhand. Forty-four satellite phones that were given to officials in the affected areas helped in unstinted communication during the worst phases of the cyclone. Food Corporation of India godowns, had stocked up for six months, while 50,000 tarpaulins and 100 tonnes of flattened rice were sent to the affected areas. Train services have now been restored from Puri to Howrah, Bhubaneswar airport is functional, 25 railway stations have been kept open for relief tasks, and additional locomotives kept on stand-by. The power ministry was sending an experts team to help in restoring lines in the affected areas, while the Centre had asked all private telecom players to route signals via one tower, if needed. The oil ministry had ensured that all categories of fuel, right from aviation fuel to kerosene oil, was in abundant supply in all affected areas. Cyclone Phailin: What you SHOULD and SHOULD NOT do 4 days prior to Phailin. The cyclone is 400 km southeast of Gopalpur in Ganjam district where it was expected to make landfall at 6 pm on Saturday and 400 km south-southeast of Paradip, the latest IMD bulletin said. Officials said clearing, forwarding, loading and unloading operations have been suspended at Paradip port and seven vessels have been shifted to the sea from the dockyard area. 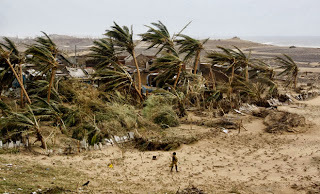 The cyclone is 410 km east south east of Kalingapatnam in Andhra Pradesh, The IMD said. The wind speed had reached 45-55 kmph and gusting to 65 kmph already along and off the Odisha coast, it said. "It would increase in intensity with gale wind speed reaching 210-220 kmph along and off coastal districts of south Odisha at the time of landfall," the IMD said. The sea off the coast would be rough to very rough and would become gradually phenomenal on October 12, it warned. It said many parts of coastal districts experienced rain, including heavy to very heavy, which would progress to interior areas from October 12 night. Chief Secretary J K Mohapatra said that two lakh people would be evacuated from six districts. Nearly a lakh of people have already been evacuated from Ganjam, Puri, Jagatsinghpur and Kendrapara districts, he said. The state government which had targeted zero casualty this time in the backdrop of 9885 deaths during the 1999 cyclone, has decided to evacuate people much ahead, he said. He said that the state government did not consider the impending calamity as less than the super cyclone of 1999. Around three columns or 300 personnel of the army's engineering wing were en route to the state and 12 air force helicopters are ready at the Barrackpore airbase in neighbouring West Bengal, Special Relief Commissioner P K Mohapatra said. Also 29 marine rescue teams and 30 navy doctors were headed to the state for rescue and relief operation with the Odisha Disaster Rapid Action Force, he said. When contacted, chief of the cyclone warning division Mrutunjay Mohapatra said, "We did not expect that the system would change direction now. It will in all probability hit some place near Gopalpur. Appealing to the people not to panic, Chief Minister Naveen Patnaik, who reviewed the situation in the evening, said, "The state government is fully prepared to face the situation." The state government had started free kitchens to feed evacuees while leave of all doctors has been cancelled, Health Minister Damodar Rout said. Local Cautionary Signal Number Three (LC-III) has been hoisted at all ports in Odisha. "Cyclone Phailin is a very severe cyclone," IMD chief Dr L S Rathore said, but felt the storm is unlikely to develop into a super cyclone. Phailin was named by Thailand and it means sapphire in Thai. But a US meteorologist warned that Phailin could be worse than Katrina. "Phailin is already worse than what the IMD is forecasting," said Eric Holthaus, meteorologist for Quartz, a US-based online magazine which covers global economy-related issues. "It has exploded from tropical storm strength to potentially the equivalent of a category 5 hurricane," he was quoted as saying in the Quartz website. Category 5 hurricane is the most powerful. "While strengthening, the storm has grown to nearly half the size of India itself." Mohammad Siddique reports from Hyderabad that the Andhra Pradesh government too is gearing up to deal with the impact of the cyclonic storm. State revenue minister N Raghuveera Reddy told the media after a review meeting with the officials on Friday that Philian was likely to be as severe as the super cyclone of 1996. “As the three districts of Srikakulam, Vizianagaram and Visakhapatanam would bear the brunt of the cyclone, and heavy to very heavy rains will be there, we have identified the low lying areas and have started the process of evacuating the people to safer places,” he said. An estimated 64,000 people were evacuated by Friday evening from the three districts to cyclone shelters and other safer places. 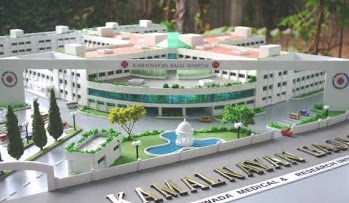 They include 20,000 from Srikakulam district (adjacent to Odisha), 4,000 form Vijayanagaram and 40,000 from Visakhapatanam. The district level officials of the revenue department and other concerned departments were already in the field. “I am appealing to the people to fully cooperate in minimizing the losses. We can not stop the cyclone, but we can minimize the damage,” he said. “Cyclones are not new for us. In the last 124 years, the state was hit by cyclones 74 times, 30 of them in October. There is no need for the people to fear. Everything will be taken care of. I appeal to them to follow the government instructions and act accordingly,” he added. Indian Navy and Army were also on the stand by. “We will also use the police communication network as a backup if the civilian communication network fails,” the minister said. 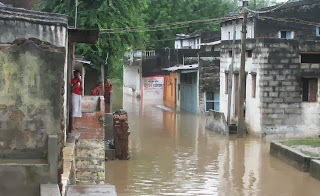 Teams of National Disaster Rescue Force had also reached the area. The Indian Air Force has deployed 24 aircraft including its transport planes such as Ilyushin-76, C-130J Super Hercules and the Antonv-32 along with 18 helicopters. "The Defence Minister has directed the armed forces to be on high alert and asked them to be ready to move in for relief operations when required," a Defence Ministry official said in Delhi. The Vishakhapatnam-based Eastern Naval Command has kept multiple Indian Navy diving teams with inflatable rafts in standby mode at important locations which could be put into operations at short notices. "Besides these, Navy has put some Chetak and UH-3H helicopters in standby for launching rescue and relief operations, if necessary. Disaster relief ships, as required, are also being kept by the Navy in readiness," the official said. Army has moved its Command and control element to Bhubaneswar under GOC Madhya Bharat (MB) Area. One Engineer column from Bagdogra and one Medical column from Gopalpur have started moving to Bhubneshwar. Infantry columns were also on standby at Barrackpore. Magnificent What a magnificent way we handled Phailin Cyclone? All should be proud of us that we can handle such unexpected Cyclones in a `magnificent manner. Please do not bring Party politics into this and take the credit for oneself. We have shown the courage and determination that we can handle such a situation in a heroic manner. We need an all Inclusive Approach to all actions. Congratulations to each and every one. A warning Let us all do the relief work and reconstruction in the same manner. We should prove that this can be done. On Saturday, November 2, at The Bull & Barrel in Itaewon, Bras for a Cause will hold their 3rd annual charity bra auction. Come join the festivities and help raise money for a great cause. Bras for a Cause is a non-profit organization based in Seoul, South Korea that has partnered with the Korea Breast Cancer Foundation. Their mission is to raise breast cancer awareness, provide free mammograms and help provide low-income women diagnosed with breast cancer the medical assistance they so desperately need. You can help a great cause and enjoy yourself at the 3rd annual BFAC fundraiser. There will be live entertainment as you bid on elaborately decorated bras worn by live models – both female and male! Last year, Bras for a Cause raised over 11 million won and are looking to raise even more this year, but they need your help. You have a chance to support an important cause and have an excellent time doing it, what could be better? The doors of The Bull & Barrel will open at 6pm with a 10,000 won cover; this includes a pink ribbon pin, a raffle ticket for fabulous prizes, and brilliant entertainment. The WhiteLies Burlesque Revue will kick everything off, followed by Belly Dancing with Navah, and Hula Hooping with Lady Tornado. The bra auction will be MC’d by the talented Edwin Pierce. DJ Nevada Rhodes will keep the party going all night as he spins an eclectic mix of tunes. Come join us on Saturday, November 2 at The Bull & Barrel for an entertaining time while supporting an outstanding cause. The venue is in Itaewon, near Noksapyeong Station exit 3. It’s on the street parallel to the main street of Itaewon, the one opposite the Hamilton Hotel. Find the McDonald’s and The Bull & Barrel is almost directly behind it. An attached map has been provided. For further directions and information about the fundraiser, please see their Facebook page Bras for a Cause (Seoul). We look forward to seeing you there! In 2012, the KBCF provided over 700 free mammograms, gave financial aid to 96 low income women and gave research grants to 13 teams. They also sponsored a Pink Tour, which targeted different communities across Korea to promote breast cancer awareness. These educational lectures were given by breast cancer survivors who were trained at Seoul National University. More than 31,000 people participated in the Pink Tour last year. So far in 2013, the KBCF has provided financial aid for 58 women, including 6 foreigners, has given research grants to 6 teams, and has had 5,200 people participate in the Pink Tour. Brussels: Steve Finney, the unlawfully jailed Canadian leader of the International Tribunal into Crimes of Church and State (ITCCS), was told yesterday by a Kitchener, Ontario court judge that he won't be released on bail unless he disassociates himself from the Tribunal. Ontario Court of Justice magistrate Michael Cuthbertson informed Finney through Duty Counsel Dave Woodbeck that no-one associated with the ITCCS would be allowed to post bail for him, and neither should Finney himself remain active with the ITCCS if he wished to "avoid another thirty days in jail". Steve Finney still faces no charges after his sudden arrest Sunday morning, the day after he spoke on international radio about his work to expose child trafficking in Kitchener involving government and police officials. Finney has been severely beaten by Kitchener police, assaulted and denied any contact or communication with anyone while in prison. In response to such flagrant political persecution, the ITCCS and its United Nations affiliates have dispatched two accredited human rights observers to Kitchener to attend the Wednesday, October 2 bail hearing of Steve Finney. "We were shocked to learn that one of the conditions for Mr. Finney's release on bail is that he disaffiliate himself from any involvement in our Tribunal" said ITCCS legal advisor George Dufort today in Brussels. "Such a bail condition is certainly not lawful and violates all of the accepted norms of due process. We are appalled that such overt political persecution can go on within Canadian courts. If this is indeed the case, we will be pressing for sanctions and legal action against the government of Ontario and its Attorney General, John Gerretsen; and we will be urging Amnesty International and others to adopt Steve Finney as a Prisoner of Conscience and a recognized political prisoner in Canada." Supporters of Steve Finney, including his own wife Amy Smart, were physically barred from the courtroom in which Finney appeared yesterday. If he is denied bail, he will remain unlawfully incarcerated at Maplehurst prison in Milton, Ontario for at least thirty more days. While the lessons learnt from Sardar Sarovar and the people’s struggle over the last 28 years have gone a long way to partly change the perspective and also the water resource planning by the World Bank first and our own governments later, it is unfortunate that in the name of Sardar Sarovar and other Narmada dams, Chief Minister and officials of Madhya Pradesh, as Mr. Ramesh acknowledges, could ‘convince’ him to exempt irrigation projects from two of the significant provisions in the new Land Acquisition Bill, 2013. Those include allotment of 1 acre land per family in the command area as well a pre-condition of Social Impact Assessment before a project is sanctioned as a Public Purpose Project. It is equally unfortunate that the real reason behind Sardar Sarovar like Projects being non-feasible or impractical is not just the mind-boggling social and ecological impacts, but also the incapacity, corruption and lack of political will of successive governments and their officials that have led to massive escalation in costs and minimal realization of even the projected benefits. This needs to be brought on record since neither Sardar Sarovar nor the conflict and struggle has yet become a tale of the past, but continues till date, raising extremely critical questions for the entire development paradigm of this nation. It is in the inter-state Sardar Sarovar Project where the people – adivasis, farmers, fish workers, potters, landless, artisans, shopkeepers etc. highlighted all issues including social and environmental impacts as well as unjustifiable costs, exaggerated benefits and unfair distribution of the same, including water allocation and sharing within Gujarat. An objective analysis of each of these aspects would lead to one and only one conclusion and that is: Even today SSP stands to be a perfect case for suspension of further dam work and reviewing the Project itself. There continue to be 2,50,000 people residing in the submergence area in the three states of Madhya Pradesh, Maharashtra and Gujarat till date, fighting not just for their rights, but for the right kind of development. It is true that during the 3 decades of struggle, this is the only dam where 11,000 families have got land for land in Maharashtra and Gujarat and about 300 resettlement sites had to be established for the thousands of families in the three states. However, not less than 7,000 – 8,000 families remain to get alternative land which is their legal entitlement. Madhya Pradesh, with the largest of submergence has been callously avoiding to provide cultivable land to displaced persons, whether in SSP or other large dams in the Narmada valley, while in the same state, huge chunks of land and resources are diverted to the corporates! Over the years, the Andolan has exposed a huge corruption scandal in the rehabilitation, worth about Rs. 1,000 crores. Not less than 3,000 fake registries in the name of land purchase and 8,000 fake documents claiming livelihood based rehabilitation of landless has meant wastage of crores of rupees from the state exchequer. Who are the culprits? The Report by the Judicial Commission of Inquiry, which has been investigating, for the past five years, as per Orders of the M.P. High Court will bring out the truth. Severe non-compliance on various environmental aspects such as command area development, catchment area treatment, impact on health and fisheries, downstream impacts, archeology, seismicity etc. has been reported by not one but many official committees including the latest Dr. Devendra Pandey Committee appointed by MoEF. Mr. Ramesh as the then Environment Minister had himself written to Mr. Narendra Modi, Chief Minister, Gujarat on the various aspects of non-compliance. There are, to this day, millions of trees, hundreds of temples, mosques and other monuments, small and large of immense cultural significance in the submergence area. Can the State restore the generations old archeological remnants that lie underground in this oldest of the civilizations in the world? Can anyone ‘rehabilitate’ this heritage ever? While Gujarat, supported by Madhya Pradesh, ready to sacrifice its own people and villages has been justifying all destruction, in the garb of ‘development, one really has to look at the benefits front to see if all the displacement is actually serving any ‘public purpose’? The financial cost of the project itself has escalated from Rs. 4,200 crores (1983) presumed for economic appraisal to Rs. 6,488 croes (1988) approved by the Planning Commission to the peak of 70,000 crores in 2012. What is the Benefit-Cost ratio today needs to be looked at in utmost seriousness. Even the Planning Commission could have but has not, never reviewed the same. Pushing the dam ahead from 122 mts to 139 mts, but not building the canal network over 30 years has resulting in irrigation falling behind and no use of the reservoir waters already ponded and available. The dam with 1450 MW of firm as power generation capacity would generate only 415 MW firm power and the same would also go on reducing as and how the irrigation comes into being and takes water allocated for the same purpose. Maharashtra and Madhya Pradesh, however, are not entitled to even a drop of water from SSP, but only 27% and 56% of whatever power is generated at every level of the dam height respectively. While official data shows that power generation at SSP, commenced since 2004, Maharashtra and M.P. have not received the exact amount of the power they are entitled to. Is it fair for a Project, built and pushed ahead in the name of needy farmers and villages of Kutch and Saurashtra to divert waters, on a large scale, to corporates, urban municipalities and cities in Gujarat? Is the decision of the Modi Government to exclude 4 lakh hecatres of land from the command area and reserve the same for corporates, SEZs, SIRs etc. a ‘farmer-friendly’ move or a fatal blow to the farmers in the state? How has the cost benefits ratio been affected by these changes is for anyone to imagine. Is the sacrifice of the Narmada valley necessary and justifiable for satisfying corporate greed and political vested interests, by changing the very plan of Sardar Sarovar? No doubt, M.P. and Gujarat are deliberately indifferent to the huge losses that have occurred due to submergence since 1993 to 2013, to the lives and livelihoods of 2.5 lakh people, to the thousands of houses, schools, dispensaries, shops, markets, temples, mosques, adivasi religious structures, lakhs of trees, all that is part of thriving village-life in the valley till date and all that is doomed to be drowned if the 17 mts gates on Sardar Sarovar are to be installed. PARIS, 23 July 2013 (VIETNAM COMMITTEE) – The Vietnam Committee on Human Rights (VCHR) is gravely concerned by the adoption of the “Decree on Management, Provision, Use of Internet Services and Information Content Online” (Decree 72/2013-ND-CP) which imposes new restrictions on freedom of expression online. The Decree, adopted on 15 July, will come into force on 1 September 2013. “As President Truong Tan Sang sets off to meet President Obama to sing the praises of the Vietnamese regime abroad, freedom of expression continues to be suppressed at home”, said Vo Van Ai, VCHR President. “The new Internet Decree is fatally flawed and inconsistent with international human rights law and standards”. Decree 72 requires Internet companies and other providers of information to Internet users in Vietnam to cooperate with the government in enforcing the prohibition of a range of vaguely-defined acts of expression. These “prohibited acts” include “abusing the provisions and use of the internet and information on the web” to “oppose the Socialist Republic of Vietnam”; “undermine the grand unity of the people”, “damage the prestige of organizations and the honour and dignity of individuals”, “undermine the fine customs and traditions of the nation” (Article 5). Article 25 requires the filtering of any information on the Internet based on the interpretation that such information is amongst the “prohibited acts” outlined in Article 5. Foreign Internet Service Providers will have to provide information about their users when requested by investigative bodies. A draft of the Decree circulated by the Ministry of Information and Communication in April 2012 drew strong criticism from the international community, including an Urgent Resolution by the European Parliament in April 2013 which called on Vietnam to modify the Decree “to ensure that it protects the right to freedom of expression online”. VCHR raised grave concerns about the draft Decree in its report “Bloggers and Netizens behind bars” published jointly with the International Federation of Human Rights (FIDH), and called on Vietnam to put an end to censorship, both online and offline, and release all bloggers, online journalists, human rights defenders and dissidents detained for the peaceful exercise of their right to freedom of expression. 3rd September, 2013: More than 1,200 adivasis from the 33 hilly adivasi villages on the Narmada river bank, affected by the Sardar Sarovar Project (SSP) and 73 forest villages in the Satpuda ranges of Nandurbar District of Maharashtra, marched into the Collector’s office yesterday and demanded a conclusive answer to various serious issues such as compensation for illegal submergence caused due to the release of waters from the upstream dams in the SSP reservoir, land-based rehabilitation of more than 1,500 adivasi families in the 33 villages, rights of adivasis in the 73 forest villages, inquiry into and action against corruption in NREGA, PDS; ensure community forest rights, review of small and medium dams on tributaries of Narmada, lack of civic amenities at the resettlement sites, role and rights of Gram Sabhas, food grains at BPL prices for the children of Jeevanshalas etc. As the andolankaris, a large majority of them adivasi women from various villages in the Shahada, Akkalkuwa, Taloda and Dhadgaon tehsils, walked into the gates of the Collector’s’ office at Nandurbar, an all-male armed police force stopped and severely assaulted many of oustees, who were pushed to the ground, but stood up and faced the police force with peaceful resistance. We strongly condemn the action of the police in dealing with the poor adivasi oustees, at the instance of the officials and demand legal action. Ultimately the officials had to concede and the police had to withdraw. The protest continued with spirited songs, slogannering and demands for justice, compensation, rehabilitation, action against corruption and all civic rights. Later in the evening, a large delegation of 40 adivasis, representing various villages, along with Medha Patkar and other activists held a 6 hours long dialogue with a battery of district officials including Mr. Om Prakash Bakoria District Collector, Chief Executive Officer, District Panchayat, Nandurbar Addl. Collector (SSP), Regional Officer, Resident Addl. Collector, Addl. Collector (Revenue) etc. 1.Finalize the exact number of oustees living in the 33 original villages, whose land-rehabilitation is pending. 2.Sardar Sarovar should not be pushed ahead at any cost, until complete cultivable, irrigable and suitable land-based rehabilitation of all the oustees, with house plots, all civic amenities at the resettlement sites as per the Narmada Water Disputes Tribunal Award (NWDTA) and Judgements of the Supreme Court is guaranteed. 3.Immediate Panchanamas and payment of compensation for all the crop and house losses due to illegal submergence. 4.District administration must concretely take ahead the process of recognizing community forest rights and convert all the 73 forest villages into revenue villages by the end of September, 2013, in compliance with the directive of the Secretary, State Forest Department to the District Collector. 5.Prompt inquiry into corruption and irregularities in NREGA, PDS and other schemes and strict legal action against the responsible officials / persons. More than 2 crores corruption in 8 villages of Dhadgaon has been unearthed, with wages paid to deceased and non-existent persons etc ! 6.Halt to and review of the series of medium dams on the tributaries of Narmada and provide all documents, project proposal, maps, clearances, in the local languages to the Gram Sabhas and decide on the local water use and management with consent of the Gram Sabha. The oustees challenged the massive and absolutely illegal submergence in August, 2013, leading to destruction of hundreds of hectares of agricultural land, as also some houses such as the entire hamlet in Bamni with 8 houses affected by the reservoir waters, similarly 2 houses each in Chimalkhedi and Dhankedi affected. It may be noted that the hilly adivasi villages have been facing the impacts of illegal submergence since 1994 and this year, even the plain areas in the Nimad region of M.P. were severely hit by the dam waters, leading to destruction of thousands of hecatres of land and more than a 1,000 houses of adivasis-farmers, fish workers, landless, potters, small shopkeepers etc. in the Badwani, Dhar and Alirapur districts of Madhya Pradesh. The oustees also questioned the election politics of the Modi Government and stated that even after sacrificing, 9,600 hectares of land (6,500 hectares forest land and 1,500 ha agricultural land), Maharashtra has not been getting its due share of electricity, nor are its oustees fully rehabilitated, so the issue of pushing ahead the 70,000 crore giant Sardar Sarovar Project is certainly illegal. In addition to the above issues the oustees also confronted the officials on the absolute lack of disaster preparedness or contingency plan during the dam-induced flooding, non-availability of health services and staff, despite the barges, inadequate boats etc. Other issues raised were; right to food, forest rights, right to fisheries, right to safe drinking water etc. in various villages of Akkalkuwa and Akrani Tehsils. A specific demand to recognize community forest rights especially of water sources, tree cover, forest produce, fisheries etc. was made. The Andolan continues to lay emphasis on community forest rights, beyond the individual claims, since responsibilities with rights of the communities to save forests not just for the present, but future generations is also absolutely essential. Illegal transportation of liquor in Dhadgaon and legal action against the same, as also against the Dhadgaon police Inspector was also called for. No to 7 medium- dams on the tributaries of Narmada: The protestors, especially from villages Son, Jalola, Bhanoli, Kothar, Chandsaili, Kundal in the scheduled adivasi areas severely objected to the controversial Narmada-Tapi River link; a series of medium dams on the tributaries of Narmada, pushed by political vested interests; only to divert the river waters to the upcoming cities like Shahada and Taloda, at the expense of ecology of the Satpuda region, leading to displacement of more adivasis. The Chief Engineer Mr. Khairnar was pulled up by the oustees on the issues of environmental impacts, extent of submergence, R&R benefits etc. It was also warned that the administration will have to encounter a severe public agitation if the illegal river-linking project is pushed ahead. MAJOR WRITTEN DECISIONS BY THE COLLECTOR ON DAY 2 OF SATYAGRAHA: 1. 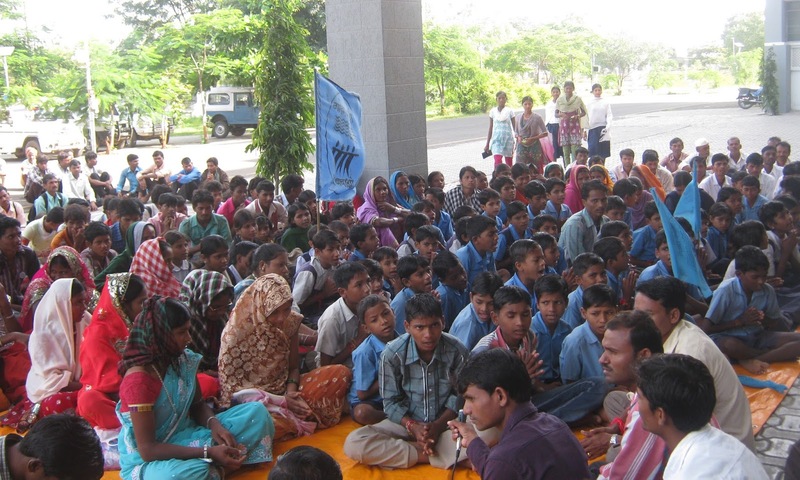 In-principle agreement that the rehabilitation of 1,500 adivasi families is pending. A hearing of all the undeclared oustees would be held shortly to take ahead the process of their declaration, inclusion in official lists and grant of R&R entitlements accordingly. 2. It was also decided to conduct an early social audit of the quality and availability of civic amenities provided at the R&R sites and original villages by the Narmada Development Division. 3. Collector agreed to show the lands for rehabilitation to the oustees from 7th September and a continued effort to identify land for R&R. 4. Food grains for Jeevanshalas (life-schools) to be provided at BPL rates. 5. Immediate inquiry into and action against corruption in NREGS, PDS and health services 6. All Panchanamas for crop losses to be recorded and compensation to be paid. New Delhi / Aurangabad, July 23 : Villagers of Shendra today reclaimed the land which was illegally transferred by Maharashtra Industrial Corporation to Ajanta Co to set up Pharma SEZ in MIDC Five Star Indusrtail Area, Shendra, Aurangabad. The action was supported and joined by noted social activist, Medha Patkar, Adviser and Founding Member NAPM, Balwant More, Rashtra Sewa Dal, Nanded, Maj Subedar Bam, Subhash Lomte of Socialist Front and others. Nearly 300 farmers from nearby villages also gathered with bullocks and tractors and tilled the land which was under illegal occupation of the company since 2008. Police, which never filed an FIR against the company after repeated complaints, came today defending the right of the Company, showing its anti people character. In 2007-8, 35 Hectares of prime agricultural land, percolation tanks, village roads etc. was handed by the Dsitrict Administration to the Ajanta Projects India Limited without completing any land acquistion process under MIDC Act as mandated. False notices were issued, compensation paid receipts were given and land was said to be taken under possession by the Land Acquistion Officer. Based on the land allotted to them by Maharashtra Industrial Development Corporation the Company obtained approval for Pharmaceutical and related Chemical Special Economic Zone from Union government. Till date no work has started on the project but Company continues to illegally occupy the land after erecting fences on the land of the farmers and tank. Farmers were illegally evicted from their land in collaboration with the district Sub Divisional Officer, Police officials and others. Later, under the Right to Information Act, they got information from various agencies, which supported their claim to land. Tahsildar on duty on 27 November 2009 said that 35 Hectares of land in question was not acquired by the authorities, confirmed also by the Executive Engineer Minor Irrigation in a reply dated October 29, 2009. Farmers filed complaint to the police with copies to senior district officials, Industry Ministers and Union Commerce Ministry. However, till date no action was taken. In meantime false cases were filed against some of the villagers in order to terrify them and pacify their resistance. Recently, on a petition filed by Bhanudas Gopinath of the village Shendra resulted in injunction from Aurangabad bench of High Court. This emboldened the morale of the 50 families whose land was illegally transferred. “We are only exercising our right and not committing any crime. None of the government records show that right procedure was followed under MIDC Act, 1961 to acquire land in this case, on the contrary records show the ownership with Bhanudas and other farmers of the village Shendra. It is completely right for the tillers of the land to reclaim it and start farming. We demand that the responsible revenue and police officers be prosecuted immediately for forgery and misrepresentation of facts in the case; revocation of the status of SEZ granted to Ajanta co.; de-notify the land and recognise the right of the farmers over the total land, since company has failed to initiate any work till date,” said Medha Patkar. She further added that it is high time that a Special Investigation team be constituted to look in to the fraudulent land dealings which has been ongoing around Aurangabad town where farmers are being cheated. Land mafia till date has transacted nearly 30-40% of the 2,34,000 Hectares of land to be acquired for Delhi Mumbai Industrial Corridor, Greater Aurangabad and Aurangabad Metropolitan City project. No notification has been issued by the authorities but illegal and fraudulent transactions are being enacted and a speculative land market is today flourishing around the city. Media reports are often being planted fuelling stress selling by the farmers at times but no clear information is being given on the DMIC and other projects coming to the farmers. In coming days NAPM will continue to expose such land dealings, support the people's resistance and assist in building of the movement against the DMIC and other projects in Aurangabad. NAPM also condemns the killing of two activists of Karnpura Bachao Sangharsh Samiti in a police firing today morning at Chatti Bariahattu Karanpura Jharkhand. They have been leading a valiant fight against the land acquisition for NTPC coal mines. In 2005, National Thermal Power Corporation (NTPC) acquired mining lease for captive mining in an area covering 16 villages of 3 blocks- Pankiri Barwadi, Chatti Bariyatu and Keredari in Hazaribagh District of Jharkhand. Today the total number of villages to be displaced has risen to 60, with the total affected population being close to 40,000 as opposed to 16,000 which is the claim made by the company. From 2005 till date mining has not begun and any attempt of starting work has been thwarted by the Gram Sabha resolutions and also active resistance from the people, who are to loose prime agricultural land in Karanpura Valley. It seems Hemant Soren, newly sowrn in Chief Minister is determined to push Corporate Agenda, but people's resistance will continue to fight to defend their land, water and forests which are necessary for survival of the nation and people. Tens of activists and concerned citizens from 350.org, IYCN, NAPM, ARPF in Hyderabad gathered outside the GVK Annual General Meeting (AGM) today to urge GVK and its investors to stop dirty coal imports from Australia and to raise alarm against their dangerous investments in Australian coal. The meeting was attended by majority and minority shareholders in the company who need to be informed of the company’s bad choice to invest in Buying Coal Mines in Australia. The Indian Context: While on the one hand GVK’s alpha coal project (a combination of coal mines, ports and railway lines) stands right in the center of the Great Barrier Reef heritage area, one of the most eco-sensitive parts of the world; the very extraction of coal is going to increase the Global warming and create greater havoc in an already trouble ridden Climate patterns of India. Which shall face the added burden of the dangerous pollutants like Mercury, Sulphur di-oxide, Radiation (by release of radioactive elements in Coal ore), due to the use in Coal Based Thermal Plants. And all this will increase the troubles faced by the farmers of India, due to erratic climate - unprecedented Floods - like the one seen in Uttarakhand recently and perpetual droughts and acid rains to name a few. The presence of Coal mines and Coal based thermal power also impacts the health and DNA of future generations leading to nervous disorders, genetic mutations to name a few. In India and other parts of Northern Asia lakhs of people are dying prematurely every year from coal pollution. In this context, concerned citizens and activists belonging to 350.org, ARPF, NAPM and IYCN gathered in front of the Venue of the AGM of GVK at Srinagar colony today morning at 10am. They were displaying posters showing the ill effects of Coal mining and Coal based Power and were distributing pamphlets to the Share Holders. 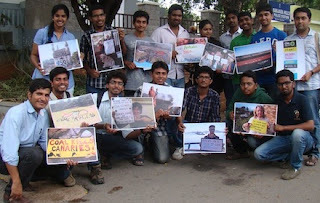 The activists held out images of the impacts of coal pollution in India and pictures of their counterparts in Australia who urge GVK to rethink its investments and avoid coal. They also held out solar panels as a symbol of the energy investments that GVK and other energy/infrastructure companies should move towards. This was done without any kind of noise or any kind of disturbance. However, within half hour, the Police of Banjara Hills PS, gathered there and started telling people to move out saying that they cannot organise any such protest. When Chaitanya Kumar, of 350.org and others tried to explain to the Inspector Murali Krishna that they are not going to disturb nor cause any inconvenience to anyone, but will only be distributing hand outs to make the shareholders aware of the issue, the Inspector said, "You are talking too much, I am trying to explain to you not to hang around here". Saying thus, he ordered the people to get into the Police Jeep and leaving the women out, took everyone else into custody at the Banjara Hills Police Station. Criticizing the denial of interim bail to Soni Sori for performing the last rites for her husband Anil Putane who died last week, various organizations in Delhi issued a call for unconditional release of adivasi activists, Soni Sori and Lingaram Kodopi. “It is beyond belief that a judiciary could be so insensitive to deny even the basic humanitarian ground of bail for a few days to Soni Sori, to allow her to make arrangements for her three young children after the death of their father,” said Kalpana Mehta, convener of Women against Sexual Violence and State Repression. Runu Charkraborty questioned this saying why Soni Sori was not given the opportunity to resettle her children and attend to the last rites of her husband when this favour is granted to many other convicts. Lingaram Kodopi, one of the few adivasi journalists from the conflict-affected part of Chhattisgarh had earned the ire of the local police in 2009 when he refused to become a Special Police Officer for them. His aunt, Soni Sori, further incurred their wrath for being outspoken in her defence of Linga, and against other human rights violations in the on-going conflict. While Linga fled to Delhi to escape police harassment, Soni Sori stuck it out in war-torn Dantewada and became the special target of police atrocities. Not only did the Chhattisgarh police lodge six criminal cases against Soni Sori in 2010, they even arrested her husband Anil Futane in July 2010, seized his vehicle which was a source of income for the family, and foisted four different criminal cases against him. Soni and Linga were later arrested in 2011 for the Essar case, even after a sting operation conducted by the investigative magazine Tehelka proved that the police had completely fabricated this case against Linga and Soni. After spending almost three years in prison, Anil Futane suffered a massive paralytic stroke in April this year, just days before he was finally acquitted in the last of these cases on May 1st. Although Anil had no history of any illness before his imprisonment, this stroke left him completely bed-ridden and immobile. Unable to bear the cost of his treatment after he was released from jail, his family decided to bring him home from the government hospital in Raipur and his eldest daugther, all of 13 years old, was pulled out of school to tend to him in his sickness. He passed away on August 1st. The district court in Dantewada was moved immediately by Soni’s family seeking an interim bail for her on humanitarian grounds to enable her to attend the last rites of her husband and to be with her three young children in this traumatic period, but it was refused on grounds of the seriousness of charges against her. The tragic part is that while all of them, Anil Futane, Soni Sori, and Linga Kodopi are innocent of the crimes they are charged with– the time it takes for them to prove their innocence before our courts is enough to reduce a perfectly happy and healthy family to a state of destitution and beggary. “Soni’s mother first passed away due to the shock of her daughter’s imprisonment, her father is also seriously ill, her husband who was imprisoned on her account is now dead, and her three young children are left to fend for themselves, while her own health condition is also quite precarious,” adds Himanshu Kumar. 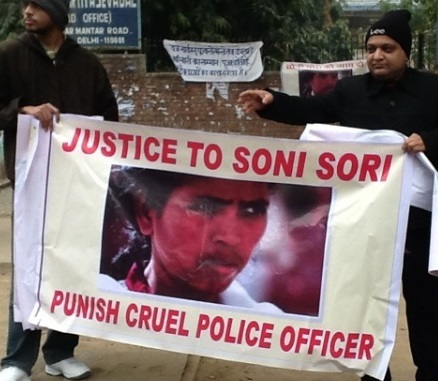 In addition to her continuing illness after facing severe torture and sexual violence in jail, it is now learned that Soni Sori is also suffering from severe anemia in jail. 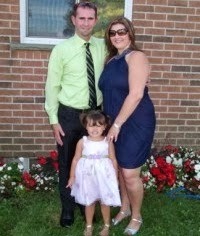 She had to be given emergency blood transfusions in May as her hemoglobin levels dropped precariously to 5.4 gms. “All our demands are falling on deaf ears. A large number of women’s organizations have asked for action against Ankit Garg who oversaw torture of Soni Sori in police custody . She was subjected to continual harrasment in jail and for every step from physical examination for injuries from torture to medical care Supreme Court had to intervene. But even now Chhattisgarh government continues to deprive her of basic human dignity and wants to take her around in shackles whether to the hospital or to her husband’s funeral. All this after she has been exonerated in all cases where a verdict has come through” said Savita Sharma of Saheli.